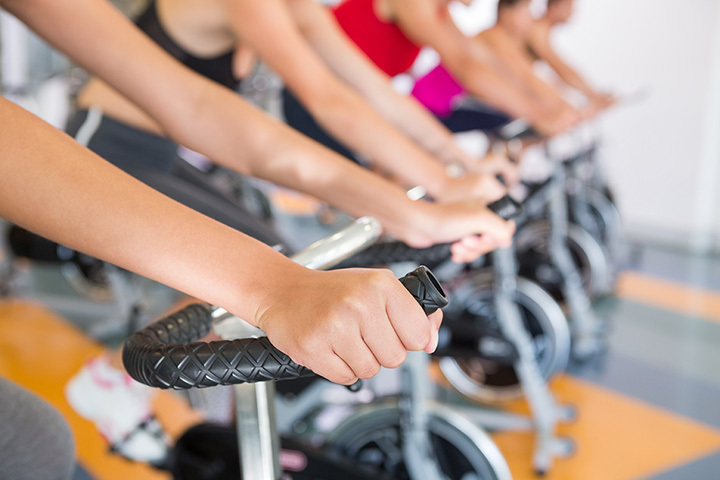 Spin classes provide a great cardio workout and help with endurance, too. Invigorating and fun, they’re great for stress relief and for burning off a ton of calories. For a workout that won’t make you dread working out, check out the best spin classes in Maine. Spin classes at the Fitness Factory are held several times throughout the week and provide a comprehensive workout. There’s one available for all fitness levels. At Saco Sport & Fitness you can join a spin class or do spin classes with a personal trainer instead. Either way you’ll enjoy enhanced wellness and weight loss with their exceptional workouts. The spin coaches at Coastal Fitness run exciting classes that not only improve your body, but are exciting, too. The state of the art bikes and comfortable environment makes the classes the best in the southern seacoast area. Build your strength and endurance with a spin class at Turning Point Cycle & Fitness Studio. Your health will benefit from these classes in countless ways. Come as often or as infrequently as you want. You’ll always be welcome here. Classes are available for all levels. Circuit 77 Fitness believes in small group training, and their spin classes are no different. Join a small group and put the pedal to the metal as you strengthen both your body and your mind in this amazing fitness center. Jibe Cycling Studio offers rhythm based spin classes. Sign up for a membership and come to unlimited classes or sign up for a class and reassess when it’s through. You do fitness your way here. Work with a private trainer or join a group spin class. Either way you’ll love spinning those wheels at Bodies by Badger. All trainers are licensed in coaching spin classes and have education in other facets of fitness, too. Sign up for spin classes at Bay Club Fitness and you’ll be eligible for as many as you want to take. Your endurance will improve, as will your overall health, with their trainers coaching your workouts. Their classes get excellent reviews. People of varying ages love the spin classes at Seacoast Fitness. No matter their abilities, they feel welcome, and soon see improvements in their stamina and overall health. The trainers at Seacoast Fitness want to allay your fears about competitive classes that seem too hard. You are encouraged to go at your own pace here, without concern for how fast the person next to you is progressing. For the best spin classes on Mount Desert Island, visit Destination Health in Bar Harbor. Don’t worry if you’ve never taken a spin class either. The trainers will take you through each level and let you work your way through each interval. You’ll sweat, but you’ll have fun, too.